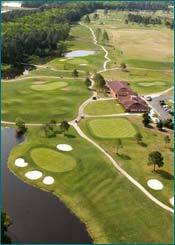 The St. Johns Golf Club offers golfers 18 well-maintained, championship holes for players of all ages and skills. Just minutes from St. Augustine, in beautiful Northeast Florida, our knowledgeable, friendly staff looks forward to making your experience here both enjoyable and memorable! Come and find out why St. Johns Golf Club has been voted Best of St. Augustine and awarded Four Stars by Golf Digest. For more information, visit www.sjcgc.com or facebook.com/StJohnsGolfClub. Mission: To impact the lives of young people by providing educational programs that build character, instill life-enhancing values and promote healthy choices through the game of golf. The First Tee of St. Johns County is a three-hole facility that was designed to impact the lives of children all over Northeast Florida. The course is open to adults and juniors seven days a week. The three hole course is played three (3) times to complete a nine-hole round of golf. Learn more at www.thefirstteenorthflorida.org. The St. Johns Golf Club is located on SR 207 just west of the I-95 intersection. The main entrance is located on the South side of SR 207. If you wish to receive information about upcoming events or specials, please send your email address to taycock@sjcfl.us. In addition, we will email information regarding upcoming golf course maintenance.